There is a lot to talk about as the autumn leaves begin to fall in Genoa City. Everyone in town has been informed that Adam Newman is still alive and that he has been pretending to be "Gabriel Bingham.". As usual, Clueless Paul Williams was the last person to learn the truth. Now that the cat is finally out of the bag, Adam has become a pariah. Without a doubt, he is the most despised person in Genoa City. Yet, I don't think he deserves that kind of treatment. He is definitely no angel and I'm not condoning his wrongdoings. Still, he's not a killer. He did not set out to deliberately run over Delia. At first, he was not even aware that his car had hit her. Yes, Adam definitely should have gone to the police and reported what happened. Yes, he was a coward and he was afraid of the consequences. Being a coward and a liar, however, is not tantamount to being a murderer. Yet, everyone in Genoa City says he "killed" Delia. He's been labelled a child killer. Everyone shuns him. The only person who would vouch for him in court was his father, the great and powerful Victor Newman." The only reason Victor posted the $10 million bail for his black sheep son is because it suited his agenda. He didn't do it for Adam's sake. He never does anything without asking for something in return. This time he is desperate to to save his company from the computer virus known as "Paragon." He needs Adam's help to rescue his beloved Newman Enterprises, but Adam may come to regret his deal with the devil. Adam made the deal because he was desperate too. He was desperate to see his son Connor one more time before Chelsea leaves town with the child, which of course won't happen. Adam really does love Chelsea and Connor. I guess it's not enough to override his "daddy issues." He just can't get over his sense that Victor abandoned him. The irony is that Adam would be a much better father to Connor than Victor has been to Adam. When Adam informed Victor that he had delivered Sage's baby, Victor commented that maybe he has some humanity in him. Now that's a laugh! The Black Knight, of all people, talking about humanity. Victor Newman has also condemned Adam for his part in unleashing the Paragon virus.. Who is he to judge his son? 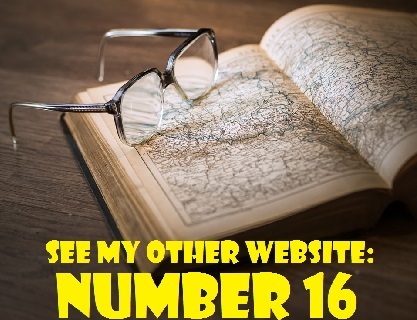 Victor has committed far worse crimes than Adam and he has never owned up to his evil deeds. For heaven's sake, he brought a dangerous drug lord into Genoa City!. Nevertheless, he always blames someone else for his transgressions or justifies his actions with the excuse that it was the only w to protect his family and his company. By the way, if I hear him say he had to protect his family one more time, I'm going to be sick. Somehow, though, Victor, is nearly universally respected. Almost everyone tries to please him and few stand up to his bullying. He's is always called "Mr. Newman" and given the VIP treatment. Due to his wealth and power, many people just accept that Victor always gets what he wants. The man is constantly honoured too. His son Nicholas and current wife Sage have named their newborn baby son after him, despite the fact that Nick constantly denies wanting to be part of Victor's world. They have called the child "Christian Andrew Newman," since Christian is Victor's real name. That should make ol' Moneybags proud! He'll continue to brag that his namesake is a fighter because he has that precious "Newman blood." running through his veins. I have to wonder whether "Newman blood" is red like everyone elses's. Is it another colour because it contains super powers? (Remember that Nick used to refer to Summer as Supergirl). It is quite obvious that Adam's actions have always been motivated by his desire to win Victor's approval and acceptance. Adam has always been an outsider, never accepted by his own family, including Nick, Victoria, Nikki, Abby and Dylan. Victor claims that it was his mother Hope's choice to raise him on her farm in Kansas. That may be true, but it doesn't make up for Victor's neglect and disapproval of this son. One could argue the Victor's longtime enemy, Jack Abbott, has been more of a father figure to Adam. Before the residents of Genoa City cast stones at Adam, they should ask themselves if they've been any better, Isn't that right Phyllis and Kevin and Billy? I could make a long list of their foul deeds. As for Billy, he's so consumed with revenge against Adam because he's guilty of this own part in Delia's demise. He was certainly negligent in leaving Delia unattended in the car while he went to buy ice cream, but that doesn't make him any more responsible for "killing" Delia than Adam is. What's up with Sharon's therapist, Dr. Andereson? Her behaviour has been very suspicious. She has been giving Sharon high dosages of drugs and has encouraged her to remain at the hospital. She also seems quite interested in Nick and Sage's baby and she peered into the room when they were embracing. Chloe (Elizabeth Hendrickson) is back is town! I have to admit that she's never been one of my favourite characters, but her presence is needed for storyline purposes. She's arrived in disguise and her presence is going to spice things up. Will she come between Kevin and Mariah? Who is the father of her baby, Kevin or Billy? Now that Chloe's mother, Esther, is back on the scene, this is a great time for her to return. I'm glad she's back, even if it's just on a temporary basis. Is Dr. Stitch (Sean Carrigan) on his way out? There have been online rumours that Dr. Ben "Stitch" Rayburn is going to be killed off. 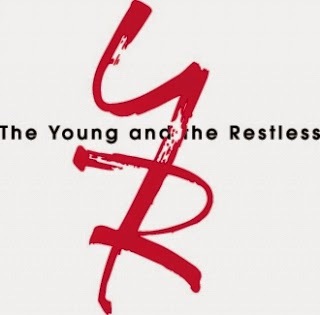 In the last edition of Y&R Report, I mentioned that there will be an explosion at a fancy Newman gala (Disaster always strikes at these events). It will happen during the November sweeps, of course. According to Internet spoilers, there will be a fatality, maybe more than one. Apparently, head writer Charles Pratt has teased that four characters will die and that one will be a contract character who loses his life in an attempt to rescue others. Dr. Stitch is considered a prime candidate to be a victim of the tragedy. As a doctor, he wold be on the front line trying to save the injured. Also Stitch's storyline has been in the background for a while now and Sean Carrigan's contract is coming up for renewal soon. All this sounds like bad news for Dr. Stitch fans. Will they even get to see him romance Ashley? 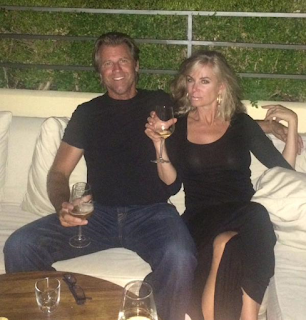 Speaking of Ashley (Eileen Davidson), I wish she'd come home from Europe soon. As far as I'm concerned, Genoa City isn't the same without her. Actually, Eileen visited Europe herself recently. On September 9th, she posted this photo on Twitter of herself and husband Vince Van Patten whooping it up and sipping on cocktails in Florence, Italy. Now that explains Eileen's absence. Mischael Mrgan with "welcome back flowers"
We'll be seeing Mischael Morgan on screen again soon. She's returned to work after her maternity leave (She gave birth to a baby boy named Niam on August 9th). Thoughtful fans welcomed her back with a quilt for her baby, for which she expressed her gratitude on Twitter. She also received a bouquet of flowers. During Mischael's absence, Y&R hired a body double to stand in as the kidnapped Hilary. Bring Chloe and Delia back to Genoa City this week. I want Adam bailed. I think Sage framed him. I'd love Sage's baby to be with Sharon. Well, you've got your wish about Chloe. It's very interesting to have her back in Genoa City. As for Delia, she has departed this moral coil and it would be ridiculous to bring her back to life now. Your other wish has come true too. Victor has paid Adam's bail. I doubt very much that Sage framed Adam. Although Adam is far from perfect and he has caused a great deal of pain, he is not the monster many in Genoa make him out to be. As for your fifth wish, there's a good chance that it will happen. Sage's baby will probably be with Sharon for a while. Patty Cakes Williams is likely to make that happen. So, two of your five wishes have already come true. A third is very likely to happen. However, don't count on Delia coming back to life and don't expect to find out that Sage framed Adam. Here are some comments from regular contributor Patsy from Sarasota, Florida. Young and Restless is great now. Victor will get away with everything! No more evil twins please. Yes, Patsy, Victor continues to get away with everything. It's so annoying. I agree and I echo your sentiments about evil twins. Enough already! I would like to comment that I don't like the violence on Y&R as of late. In the past, the regular characters were not always smashing each other. There was an element of class in that respect. Now Victor stands there as Billy almost kills his son. Well Fifi, I have to agree with you wholeheartedly. Almost every citizen in Geona City is prepared to commit murder or take the law into his or her hands. Vigilante justice seems to be the order of the day. I think this attitude has become more widespread since Charles Pratt took over as head writer. Your example of Billy and Victor is a case in point. Most people in Genoa City despise Adam Newman and many want him dead or severely punished. Does Adam deserve such contempt? 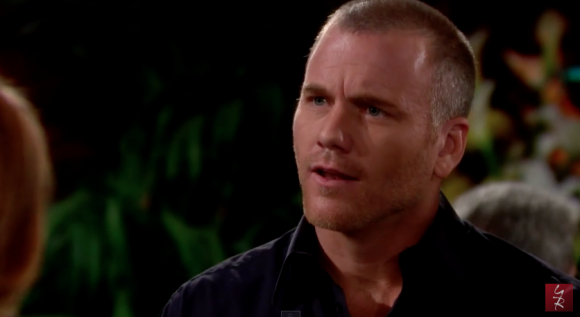 Does Adam deserve to be the most unpopular person in Genoa City? Yes, he is a chronic liar and he mowed down an innocent little girl. Not if he is truly sorry for what he's done. No, but he should be punished for not reporting that his car had run over Delia. He's guilty of many things, but he is being judged to harshly. Victor and others have done far worse. That's all for now. I'm looking forward to watching the debut of fan favourite Michael E. Knight on Y&R, Michael will make his first appearance on the show next week. He will portray Dr. Simon Neville and will try to help Neil Winters. Knight has a recurring role, but if he's popular with the fans, I'm sure it will be expanded and he will be put under contract. To my Canadian readers: I wish you a very Happy Thanksgiving! Don't forget that the next edition of Y&R Report will appear in this space on Saturday, October 24, 2015.